To make my tag, I used scraps of this and that from my work area. I had already colored that pretty rose, so it was an easy addition!! 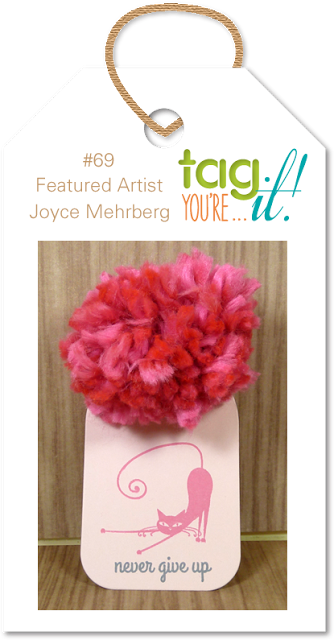 I love making pompoms and this one was perfect on top of my tag. This is really sweet. Love your CAS tag, and that pom pom is such fun. So delicate--I was not able to figure out how to make mine smaller, but I think it's because I was using pretty thick yarn. 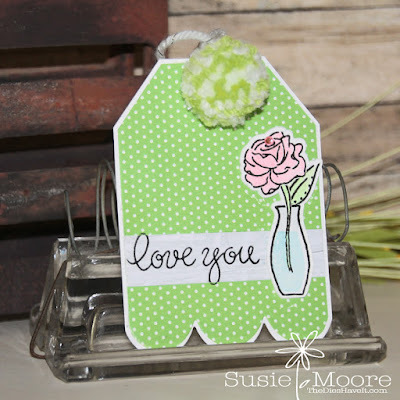 Such fun to see how you were inspired by my tag. 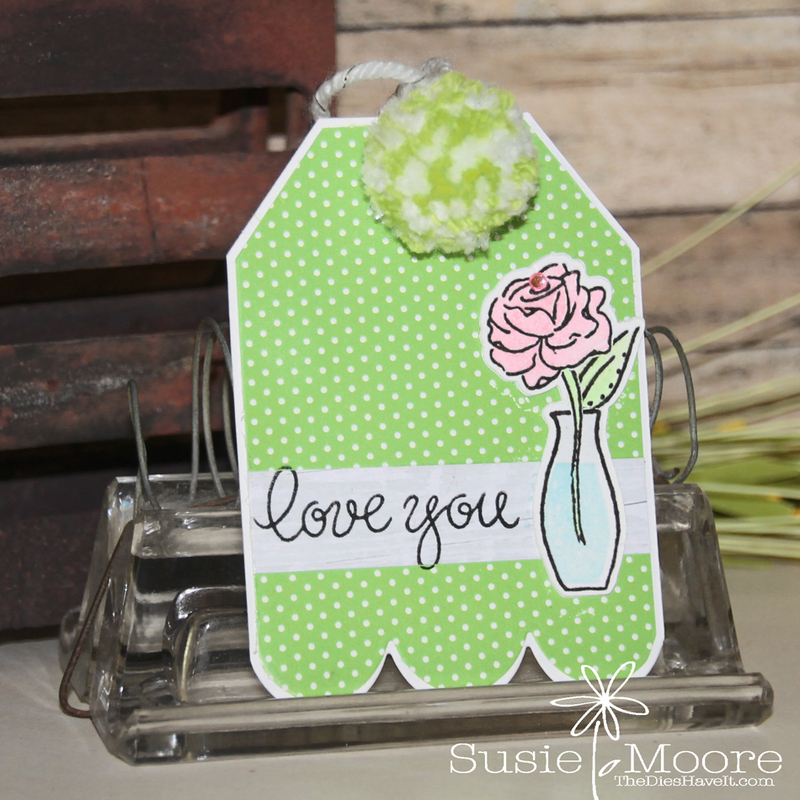 Gorgeous Pom Pom tag... and a great use of scraps!